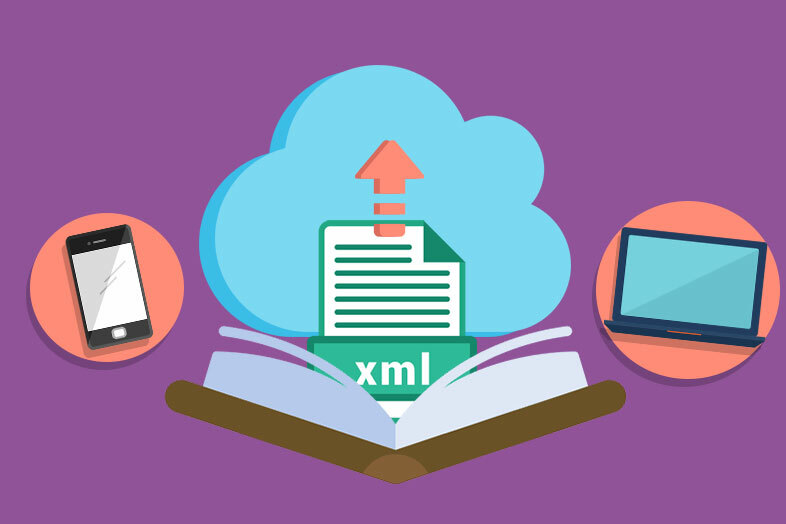 XML file format stands for an Extensible Markup Language that is used to make common information formats. The purpose of this format is to share the data on the internet and it is actually very similar to HTML format in terms of usage. What program opens XML documents? Given that XML files are encoded in plain text, you can open them in any text editor such as Notepad, TextEdit etc. To open an XML file on your computer, right click on the file and then on “Open with”. You will see the list of programs that can open XML files, just choose a default text editor you have on your computer. The second way to open an XML file is with Excel. Although you may not see Microsoft Excel as a suggested program to open this kind of file, you can run Excel program first and then open the XML file from there. When click on Open menu and select the XML file from your computer, a small window will show up asking you to choose whether to open the file as an XML table, as a ready-only, or to use the XML source. Choose to open the file as an XML table. How to open XML file in browser? Another way to open XML file is with your browser. So, in the same way, click on “Open with” and choose the browser instead of a text editor. The main difference between viewing XML files on a browser or a text editor is that you have more control of what you are viewing, when you open an XML file in a browser. By clicking on the + or – you can expand or hide a specific part of the file. How do I open an XML file on my phone? Similar to your computer, you can open an XML file on any text editor app. XML files are actually .txt files with .xml extension. So you can save the XML file as Text, to have .txt extension. Depending on your phone, you can use different text editor apps or XML viewer apps. How do I convert XML files? The easiest way to manipulate with XML files is to convert them to PDF. In this way, you don’t need to worry whether the file could be opened or edited on different devices. To convert XML to PDF, first save the XML file as .txt file. Then convert .txt file to PDF, either by using Cometdocs web tool or with one of our mobile apps for PDF creation.